Priest, Cherie. 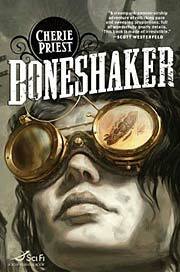 Boneshaker . Tor 2009. Series note: Series including, so far, the novels Boneshaker , Clementine , Dreadnought , Ganymede , The Inexplicables , and Fiddlehead , as well as the stories "Tanglefoot", "Reluctance", and "Jacaranda". 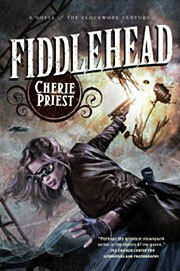 Summary: Steampunk adventure set in a world in which the American Civil War has dragged on for 20 years. 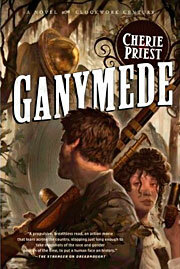 Series note: First novel in The Clockwork Century. Awards: Nominee: 2010 Hugo for best novel. 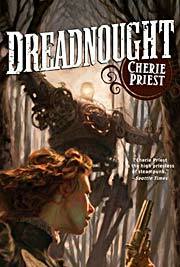 Series note: A short story in The Clockwork Century, connected to the novel Dreadnought . Published: In The Living Dead 2 (ed. John Joseph Adams), Night Shade 2010 (1597801909BUY). Series note: Second novel in The Clockwork Century. Series note: A novelette in The Clockwork Century, connected to the novel Clementine . — In Steampunk II: Steampunk (eds. Ann VanderMeer and Jeff VanderMeer), Tachyon 2010 (1616960019BUY). Priest, Cherie. Dreadnought . Tor 2010. Series note: Third novel in The Clockwork Century. Priest, Cherie. Ganymede . Tor 2011. Series note: Fourth novel in The Clockwork Century. Series note: Fifth novel in The Clockwork Century. Priest, Cherie. Fiddlehead . Tor 2013. Series note: Sixth novel in The Clockwork Century. Series note: A The Clockwork Century novella.